A key and ongoing theme this year on Aeon Byte has been achieving better models for human existence via re-integrating the mind. 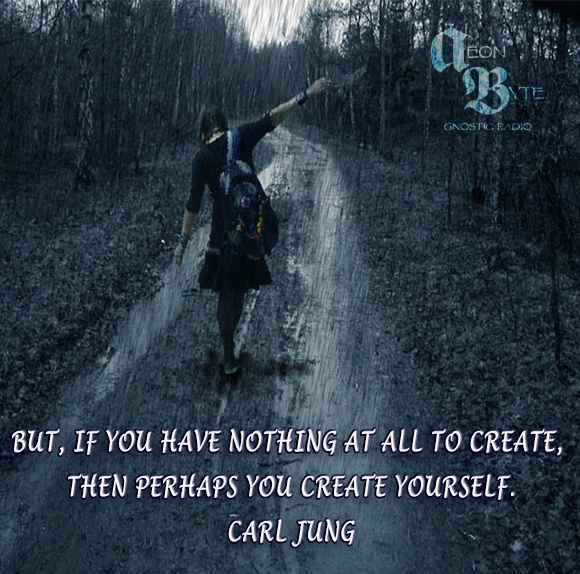 That includes tapping into the power of imagination by embracing ancient mystic systems – which leads to a more holistic form of reasoning that results in individual wholeness and better solutions for today’s issues. I mean, let’s face it: we live times where thinking has become fragmented, shallow, and just plain uninspired. What’s more, society increasingly relies on outdated solutions or failed modalities. We do need a return to imaginal/magical thinking. 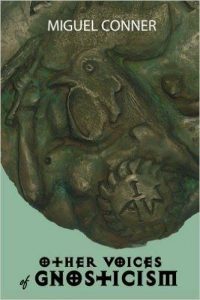 I won’t delve too deeply into our dire situation or how imaginal/magical thinking can transform your psyche – within the arcane traditions of the Gnostics, Neoplatonists, or Alchemists – but I would suggest you listen to recent interviews with such guests as Gary Lachman, Eric G. Wilson, and Jason Reza Jorjani. What I want to argue is that imaginal/magical thinking works when viewing some of the impactful figures of the not-too-long-ago past. These instances are provided by another august past guest, Jeff Kripal, who also proposes new ways of thinking to renew the human spirit. A passionate reader of Plato’s dialogues. Put the yin-yang symbol of Daoism on his coat of arms, in most readings as an expression of the paradoxical wave-particle behavior of quantum reality. An avid reader of Schopenhauer’s idealist philosophy. Great interest in the scholarly literature of the time on Buddhism, Hinduism, and Advanta Vedanta. Contended there was only one mind in the universe, with the implication that our minds participate or plug into it— a pure expression of the filter thesis. Helped CG Jung come to his idea of synchronicity or acasual These same ideas were in turn heavily refracted through Pauli’s paranormal experiences, primarily of telekinetic or poltergeist nature. As Kripal states, these are all well-known biographical facts from individuals that not only changed the course of history but how we experience reality itself. One can argue well that these figures were extremely bright, data-driven scientists; but one can easily argue that their interest in the Esoterica brought those game-changing results. This stance is a far cry from the dry, logical, and ultimately lifeless vibe of Neil DeGrasse Tyson, Bill Nye, Lawrence Krauss, and other modern scientific exemplars (and #metoo violators). And then we wonder why culture is decaying. No, no, you are not thinking, you are just being logical. Embracing that imaginal/magical thinking optimizes our brains (and hearts), and it can make any of us have the extraordinary intelligence to solve the obvious problems of today. Just ask Plato, Giordano Bruno, Hypatia of Alexandria, or Isaac Newton, individuals who were as much shamanistic magicians as they were masters of reason. 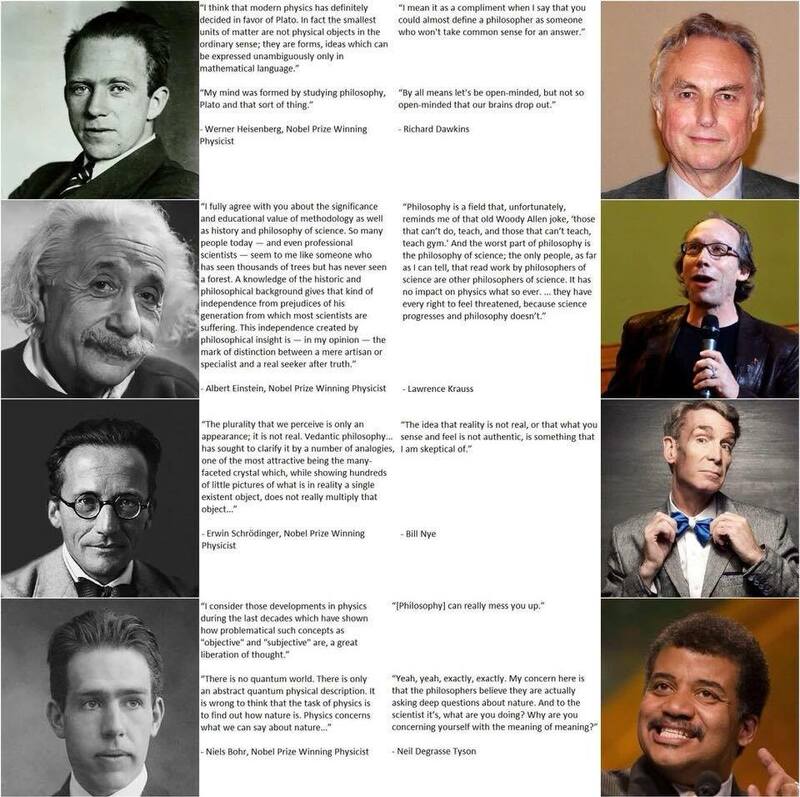 They creatively drew from imagination and myth as much as the scientists I mentioned earlier. When we think mechanistically, we get a mechanistic reality…efficient and stagnant and ultimately soul-killing. 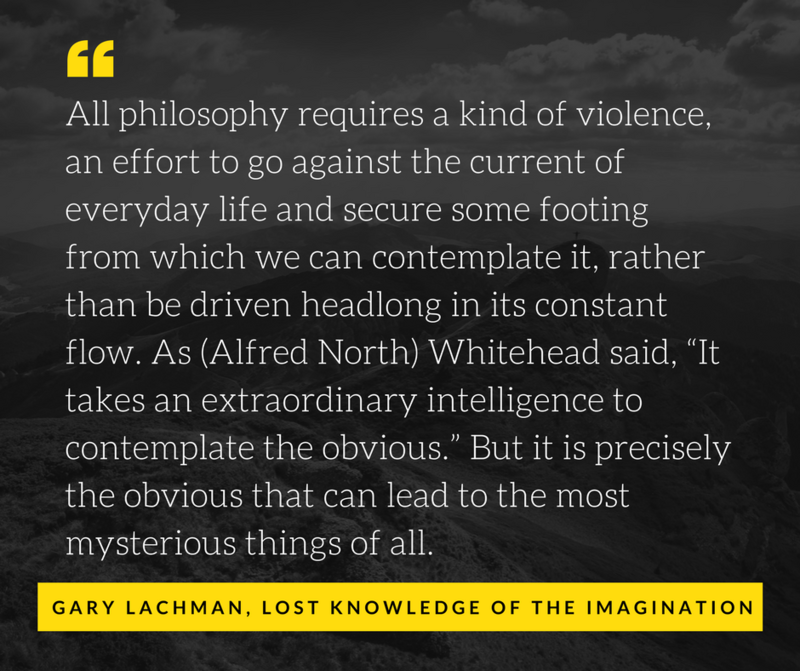 I should bring in Lachman again, as his book The Lost Knowledge of the Imagination deals with all of these ideas of imaginal/magical thinking (or really whatever you want to call the suppressed part of our brains disconnected us from the deeper gifts of the cosmos). Lachman, much like Wilson, sees our future evolution as being a result of cooperation between two fundamental modes of perception, and each with its own unique and complimentary type of knowledge. And while imagination ‘can be used for fantasy, illusion, make-believe, and escapism’ its most more important role is, Lachman argues, ‘to make contact with the strange world in which we live’ presenting us with the ‘possible, potential realities that it is our job to actualize.’ The imagination becomes our means, if consciously and effectively employed, to search out the possible direction of our own inner and outer evolution; it offers, in its visionary glimpses, a foretaste of our future; metaphors, in this side of the mind, become malleable essences which can be transmuted into the very thing that they once merely referred to, and vice-versa. 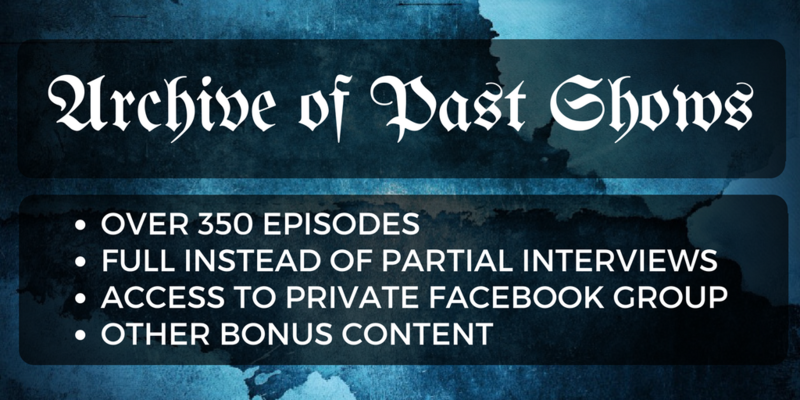 I’ve written a short and sweet article for thee, but if you want more check out the interviews I mentioned earlier, as well as the one I conducted with Kripal. All the works of men have their origin in creative fantasy. What right have we to then depreciate imagination. Whatever we build in the imagination will accomplish itself in the circumstances of our lives. Imagination should be, not to escape reality, but to create it. you write as if we belong here ? You ask us to imagine a better prison to live in with more ‘Things’ to hypnotise ourselves with. 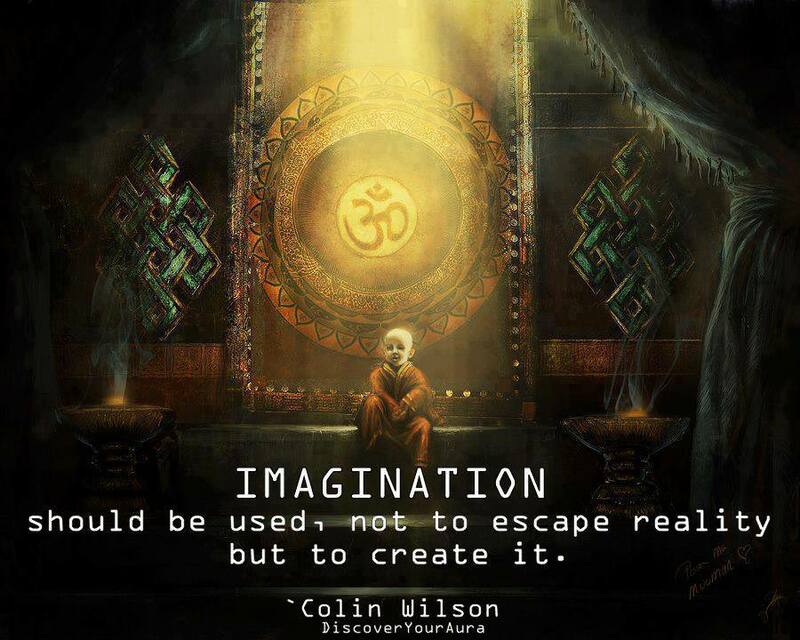 Our imagination is our Ego, and it resides in the past or future. I was this or I did that ; I will be this or I will do that. All you suggest is an inflated imagination of ourselves and circumstances, designed to distract us and hold us in the physical realm. Have you ever realised the significance of being in the present ? Being IAM ? Oh, to conjugate those verbs. Try being still. Do and think nothing, just observe and not interact with Anything. Know reality, rather than imagine it as others do. 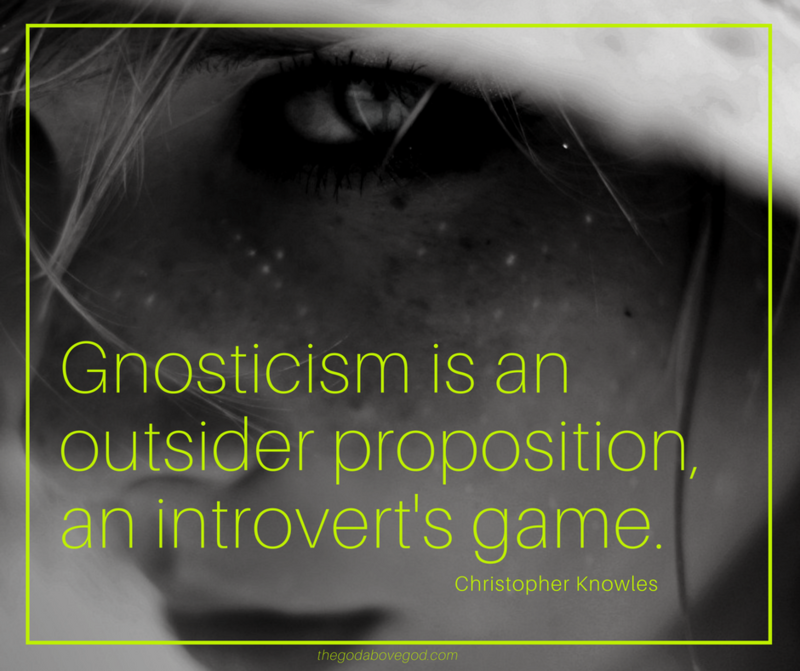 Gnosis. The above quote by, Cherise Cat in Alice in Wonderland. If you adopt that attitude, you will Never Escape the black iron prison to a place beyond the stars of the firmamnet. Know your reality. Life has no meaning, no purpose. So why are we hear ? We are hear because we are unwilling to let go of our holds on the physical realm. Do the opposite of what the article suggests. 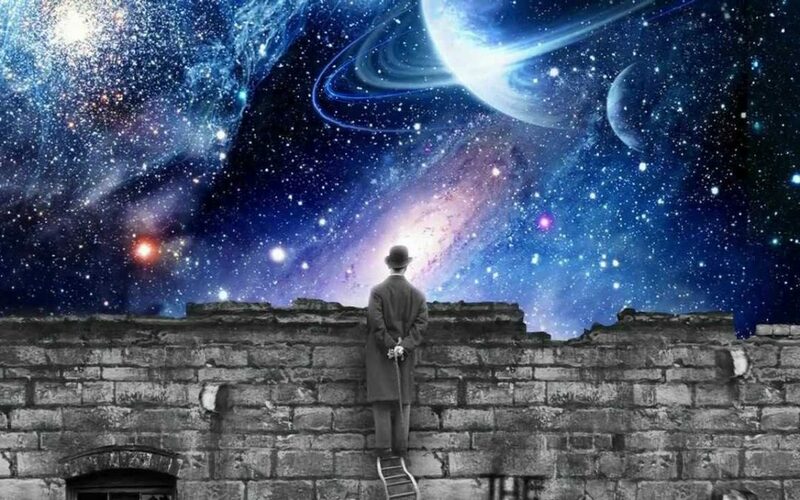 Ditch the fiction of imagination ; observe and know your reality. Embrace the nothingness of Observation ; you just may achieve the Gnostic goal of Liberation. Observation is not a realistic 24/7/365 pursuit ; remember to let it happen when it occurs. However, the practice is useful for when the death of the physical body arrives as it may help to avoid reincarnation back to this self imposed black iron prison. Well said and thought-provoking! Or maybe no-thought-provoking. Hear, hear … why do I always spell ‘here’ as ‘hear’ ? Freudian slip ? Too much ego ? 365 ? I have made so many writing mistakes Here on your Alexandrian Library Walls. I tend to wander off topic slightly to satisfy my agenda. So, ” hear hear ” one of my favourite song lyrics that has resurfaced over the past year. It is a cautionary warning for your ‘Imagination Article’….. in trusting in what others say ; even this comment. Please, if you wish, Google : lyrics “O Lucky Man” by Alan Price. Listen to the song, but read and reread and take note. Yes/No? It is said that : thinking only leads to more thinking. We will drown in our thoughts and will never escape the prison because too much knowledge gives us too many options at physical death as to which path to choose. So don’t choose ; just drift off in the void. Time to revert to my ‘Lucky Man’, Middle Path. I’ll try to Let Go and close down and not be tempted by heaven or hell. I’ll just practice trying to stay an unemotional, non writing, detached observer. Miguel, thanks for all the fish, and goodbye until the next time.